One of the most important pieces of information a real estate agent or broker can place on their website to help parents has nothing to do with a property itself. It’s school boundaries. Those critical lines on a map that will determine which school a child will attend. As everyone knows, the choice of a school is a very, very sensitive issue. Children might wake up one morning, get dressed and hop on a bus, thinking going to school is no big deal. But people in the know do know that there is quite a bit of activity going on behind the scenes with some parents as to which school that child will be attending. A real estate agent can really differentiate themselves from others by providing school boundary maps on their website. Sure, an agent can tell a prospective home buyer which school district or school attendance boundaries they are located in. But think about how powerful it would be if they could show them the actual boundaries. Because there is more to this process than just where a home is located. Perhaps, there is a charter school nearby where the parent can submit an application for their child to attend instead. Or, thinking ahead, maybe a parent likes the middle school near her home, but would really rather have her child attend a different high school on the other end of town. Don’t think that its only education that plays a factor. For many parents with an athlete in the house, school boundaries will dictate whether that student will be enrolled in a school with a great coach and football program or a school where the coach doesn’t really seem to care. For home buyers with aspirations for their own little Johnny Football, school boundaries are a BIG issue. Some children will switch high schools for athletic reasons like professional ball players switch cities. Maybe there’s an artist or actor in the family. Again, some schools might have fantastic theater programs, while others may not. Some schools might be geared just for arts. That’s where they want their little Meryl Streep to go. What’s a real estate professional to do? Well, they could get out a pencil and try to draw the school boundaries on a map. Then take a picture of it with their cellphone to place on their site. Not very professional. Or, they could provide links on their website to the local school district’s homepage where prospects can check the school boundaries or call to find out. In that case, it could be goodbye prospect because once they leave your site, they might never return. Do you really want a person searching for a $650,000 property to ever leave your website for a minute? That’s a risk you should work to eliminate at all costs. 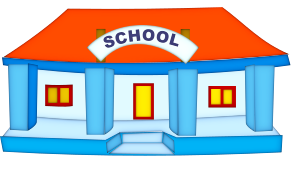 The best solution is to work with a real estate data provider, such as Home Junction, in order to place a widget for school boundaries directly on your website. It’s not as big a production as you might think. Make sure the data provider hosts the data on their site. That way all you need to do is paste a few lines of code on your website to pull those school boundaries right onto your site. Now, not only do you supply “Homes for Sale,” you also supply geo-spatial mapping information that is accurate, current and easily understood. For one, many parents will go to Google and Bing and type in a search for “School boundaries in XYZ” town. Wouldn’t it be great if your real estate website showed up on the first page in that search? Wouldn’t it be great to take a few easy steps to add this data to attract, say, that person looking for a $650,000 home? Of course it is! Here’s another benefit. Think of the power you would have in making a presentation to a potential seller of a $650,000 home if you could show them how you are going to list their property on a map with school boundaries? Say, they are located near that school with the awesome arts program or the winning football team. You can almost see the eyes of that seller light up in glee. This is the era of big data. Just like you can press a button and talk to your friends on a live video feed on your iPhone, that same data processing technology can add massive amounts of hyper-local data, like school boundaries, onto your website. Best thing to do? Pick up the phone and get an education on how easy it is to feature school boundaries on your website. Mom and Dad home buyer will give you an A+ for doing this.